At some point during the winter I began collecting veggie burger ideas in my head. This particular recipe was the first to appear on my list. 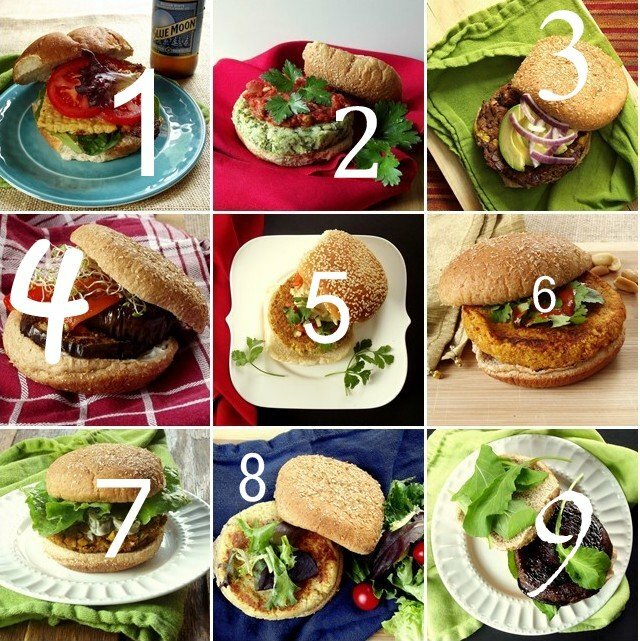 I put the idea on hold, recognizing that spring or summer might be the best time to start posting veggie burger recipes, with everyone busting out their grills and all. 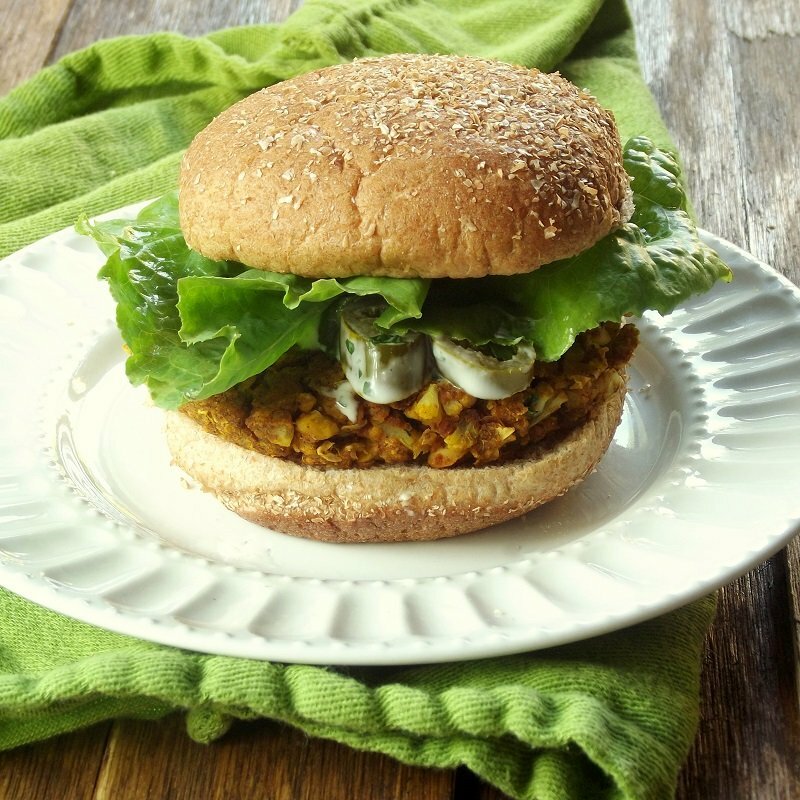 Before I knew it, I had a collection of enough recipes that it seemed like I’d be posting nothing but veggie burgers all summer long. So I decided to put them into a book! I’m posting this now because I’ve conveniently gotten the book finalized just at the height of summer. Also conveniently, this occurred right around the time of my town’s campy little sci-fi celebration known as Blobfest. I didn’t get around to the whole run-screaming-out-of-a-theater thing this year. To make up for that I’ve opted to name my cookbook in honor of cheesy (or vegan, thus not so cheesy) monster movie fun. If you scope out the cover and don’t get the reference, just ignore it and make the burgers. There’s nine recipes. We’ll leave it at that. If you want the rest of the recipes, all’s you gotta do is join my email newsletter. Sign up here and I’ll respond with a copy of the burger book. Happy grilling. Whisk flax seeds together with 3 tbsp. water. Set aside and allow to sit for at least 10 minutes. Heat 1 tbsp. oil in large skillet over medium heat. Add onion and sauté 5 minutes. Add garlic and cauliflower and sauté another 5 minutes, until cauliflower softens. Transfer cauliflower mixture to food processor and add remaining burger ingredients, including remaining 1 tbsp. oil. Pulse until well mixed. Shape into 4 patties. Coat skillet with oil or cooking spray and cook patties about 5 minutes on each side, until browned. Thank you so much Kelli! I hope you enjoy them all!!! I made the quinoa falafel burgers and the thai sweet potato burgers yesterday. We had the sweet potato burger for lunch today and it was delicious! Love the flavors. We froze the rest of them and will happily enjoy them at a later date! Thanks so much!! Yay! I made a few of the recipes for a family picnic recently and the sweet potato seemed to be the popular favorite. Thank you so much for sharing – I’m so happy to get feedback on my recipes and I’ve been especially excited to hear about the burgers. I’m so glad to hear you’re enjoying them!!! 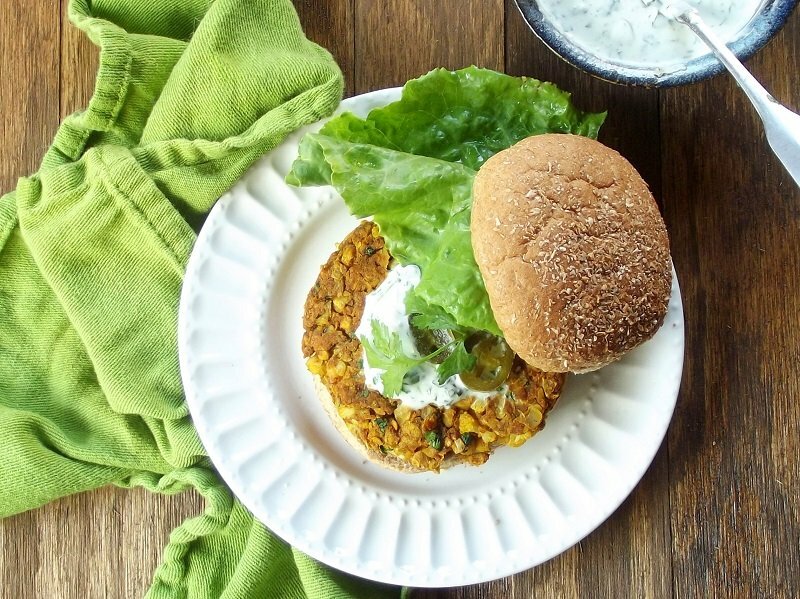 Wow – the beer soaked tempeh burger sounds amazing! my husband is a burger and beer fiend so I think he’ll be very pleased with this. I really loved that one! I actually had a beer-marinated tempeh sandwich years ago at a restaurant. The place stopped serving it, so I thought I’d try to recreate it and ended up liking it even better than the original. Enjoy! These burgers sound so good. Im going to make them tomorrow night. Was wondering if you can bake them or cook them on an electric grill instead of in the skillet. I like to eat healthy, and I have low blood sugar, so I need help, thanks for the recipes. Very welcome! I hope you enjoy them!